"For Windows we support Windows 98/2000/NT/ME/XP/Vista. We include both the Mac and Windows Photoshop plugins and stand-alone version of our products with each purchase. We also work as a Photoshop CS3 plug in, Photoshop CS2 plugins, Adobe Photoshop CS plugins and Adobe Photoshop 7 plug in . In addition we work as Photoshop Elements 2 plugins, Photoshop Elements 3 plug ins, Photoshop Elements 4 plugin, Photoshop Elements 5 plug ins and Photoshop Elements 6 plugin." This is from their home page dealing with various products. Let's first look the interface. Once again, it is consistent with all their products. Notice the circle with the Memory Dots for remembering your current settings. You have the Smart Layers™ which lets you combine masking, photos, and effects. You have both a Correction Layer for correcting the basic image; a Photo Layer for adding new photos and compositing them together; a Masking Layer for selecting areas for the effects; and, of course, the Effects Layer for applying the effect. Below are examples of the filters in each DreamSuite that is part of the bundle. 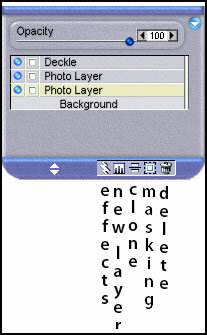 And below is an example of some of the ways Smart Layers™ can be used as well as what the various functions are. The Effects tool opens the same Special Effects as does the Special Effects' bar on the left side of interface. Basically this review will be comprised of demonstrating how some of these filters work. 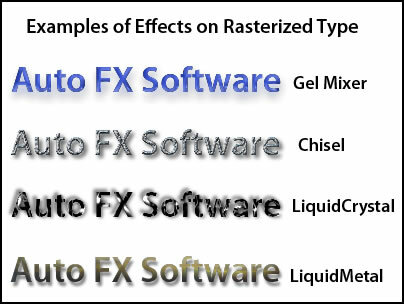 The Auto FX Software website shows a number of examples for each effect. 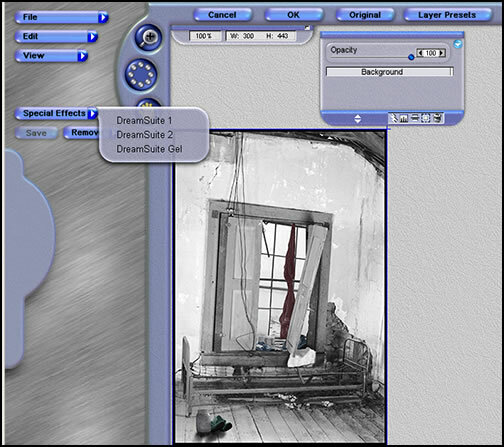 This link is to DreamSuite 1, but there are examples for DreamSuite 2 and DreamSuite Gel. 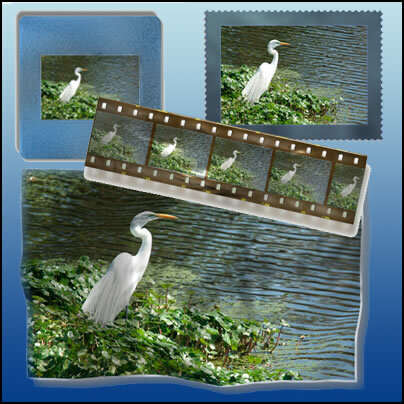 Below is an example of the Deckle Effect along with the ability to add photos from within the Auto FX DreamSuites. There are many presets available for the Deckle as well as the other Special Effects. There are two types of presets: Regular Presets capture and replay a single Special Effect. Select the filter from the list and then click on "Select Presets." Layer Presets capture entire sets of layers and render them dynamically. For those, you go to the Layer Presets on the tool bar; then, you select the Special Effect and one of the presets. You can also create and save your own presets. I took this plain house with the boring sky and added various Special Effects. In the Smart Layers™ by changing the opacity interesting effects can be created using multiple Special Effects. 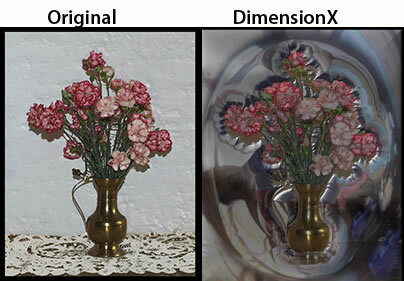 You can take an ordinary photo and by applying Special Effects obtain a surrealistic and/or distorted image. Below is an example of how I applied the PlasticWrap Effect to just the the background layer. There are other ways I could have achieved the same effect. The layers are from Photoshop CS3 on a Windows XP machine. The DreamSuite Bundle costs $399.00. The DreamSuites can be purchased individually. The special bundles are listed on the Home page at the bottom. See the various Products' pages. There is a lot one can do with the DreamSuite Bundle from working with type to working with images and multiple images. If you have the Bundle, you can add Special Effects from the different products together. The program was a lot of fun to use, gave me the ability to turn a bland image into an interesting one, and worked very well. I highlighted some of the features I used. Each time I created another image, I found that there were more features available and different ways to combine them. At the bottom of the individual DreamSuite product's page is the availability to download demos: DreamSuite 1 Demo, DreamSuite 2 Demo, DreamSuite Gel Series. In addition, you can become a member of Auto FX and download textures and fonts. 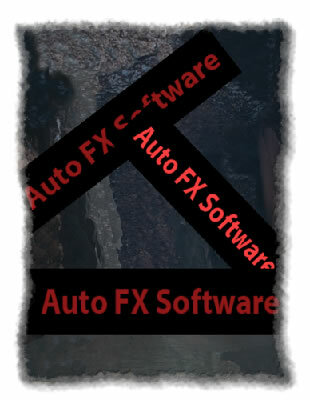 For reviews of other Auto FX Software products go to the following URL's.